Oh, it's available somewhere else! The worst feeling is going to a grocery store to look for an ingredient just to find that it isn't in stock. That's why I made Recipe Wingman, so I know exactly when my grocery store has my favorite mango flavored Arizona Iced Teas. 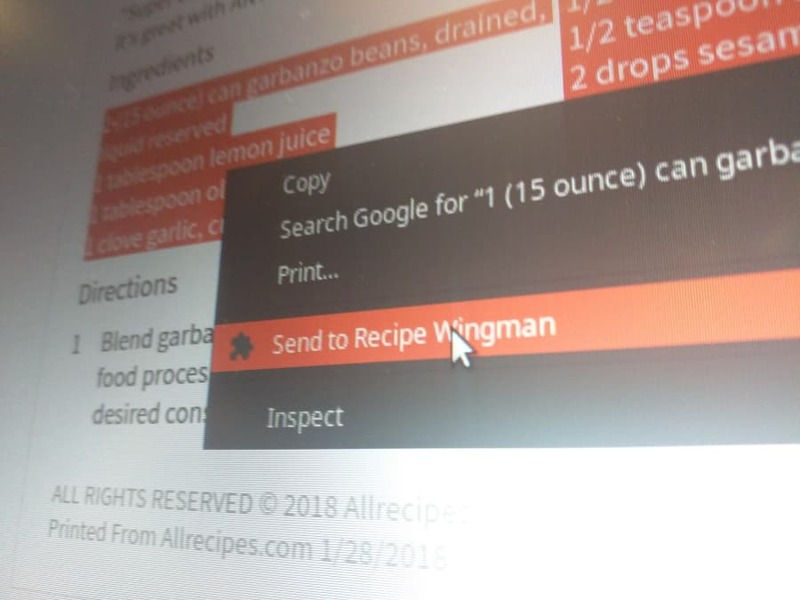 Recipe Wingman is smart enough to read the ingredients list of nearly any recipe and search Wegmans grocery stores for the item. 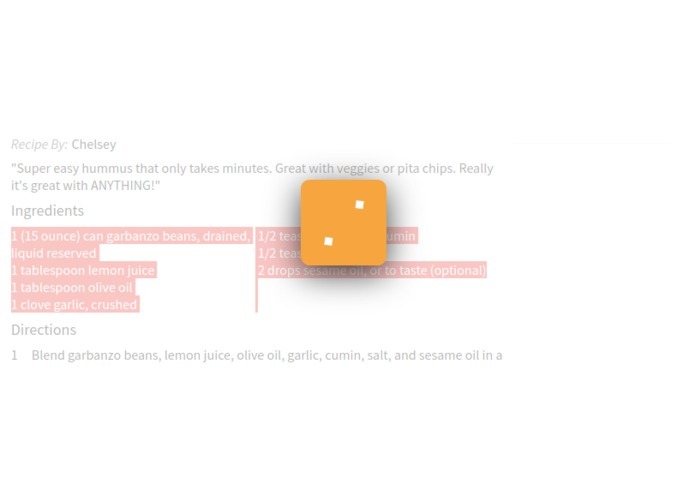 Recipe Wingman is able to determine the actual ingredient names from measurements and instructions. 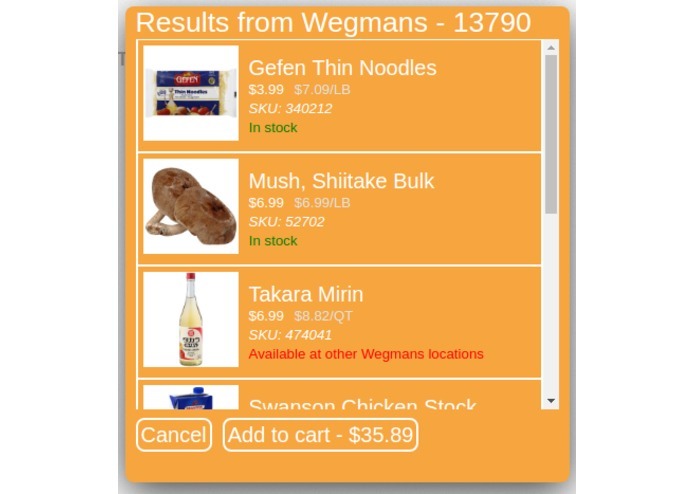 Recipe Wingman will also list prices, calculate tax, and tell you if other Wegmans locations have the item in stock. 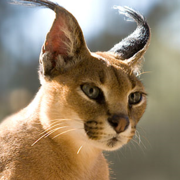 I initially wanted to write the application using Typescript and create a web application. However, that proved to be challenging as I couldn't get past some technical hurdles with getting the Google Cloud Platform to work on Typescript. 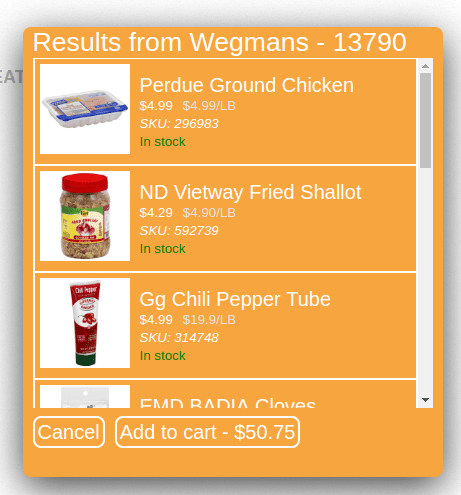 Additionally, the Wegmans API is pretty new so there are no examples to look at online. Thankfully, the people at the Wegmans table helped out with setting up a connection to the API. I am very proud of getting the Natural Language API to work and figuring out how to utilize it to list the ingredients of a recipe. Additionally, I was really happy to learn how to make proper GET and POST requests without having to use additional abstraction layers. Lastly, I'm glad I was able to create a UI that doesn't make me sick. 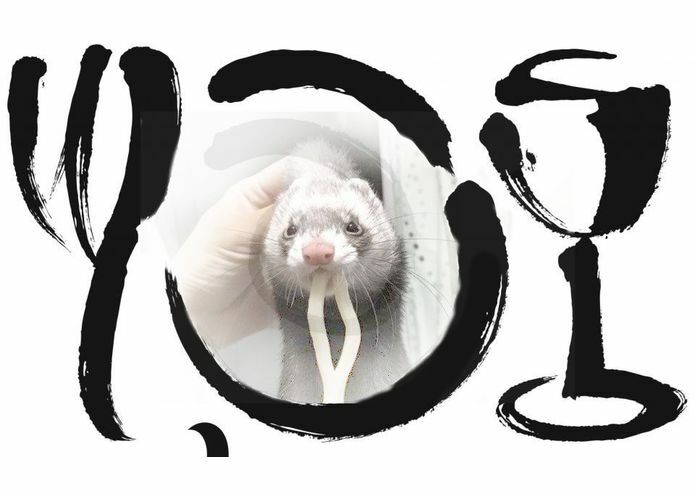 There are a lot of features I had to leave out due to API constraints and mostly, my own ability. I would love to continue to work on Recipe Wingman in the future. 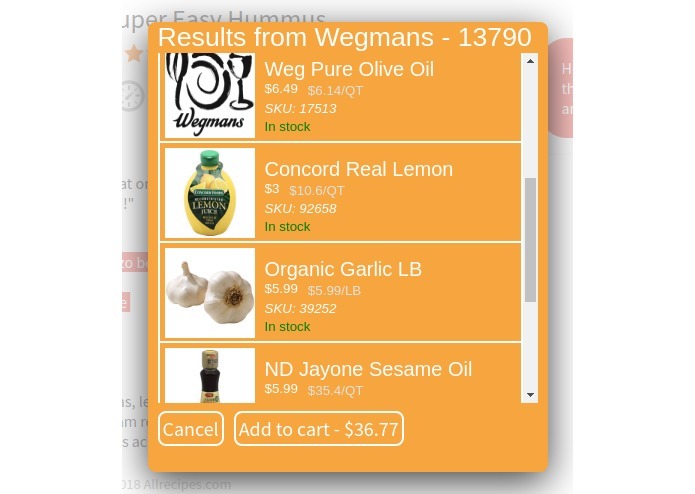 I really want the "Add the Cart" feature to actually work, but that'll have to wait until Instacart releases an API.